Are you looking for the perfect personalized wedding, birthday, anniversary’s gift? 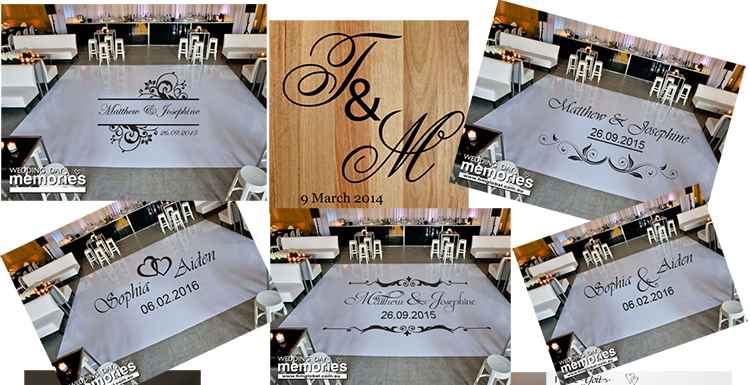 Our dance floor stickers will surely make the special day an extra special. Dance floor decals are the perfect accessory for any party where there will be plenty of dancing! • we can customise to any size to suit your need. They instantly add the 'wow' factor in an affordable way. HM floor stickers are made from high quality grade vinyl, easy to remove, they are fabulous for temporary applications - simply apply them before the party and peel them right off when you're finished. They are really straightforward to apply and come with step by step instructions for application and removal - nothing could be easier! We include a small test decal with every floor decal. We recommend you apply the test decal first, to ensure it sticks and can be removed easily.